On Saturday 29th of July I was looking for any new day time moths to record at Raw Nook nr and Caldene fields. At the former site I was looking in the heather near to the pond on my hands and knees (hoping no one would be watching me…) when a small moth caught my eye. After several times of trying to photograph it I decided to catch it in a specimen tube to get a closer look at it and to take a number of photos. 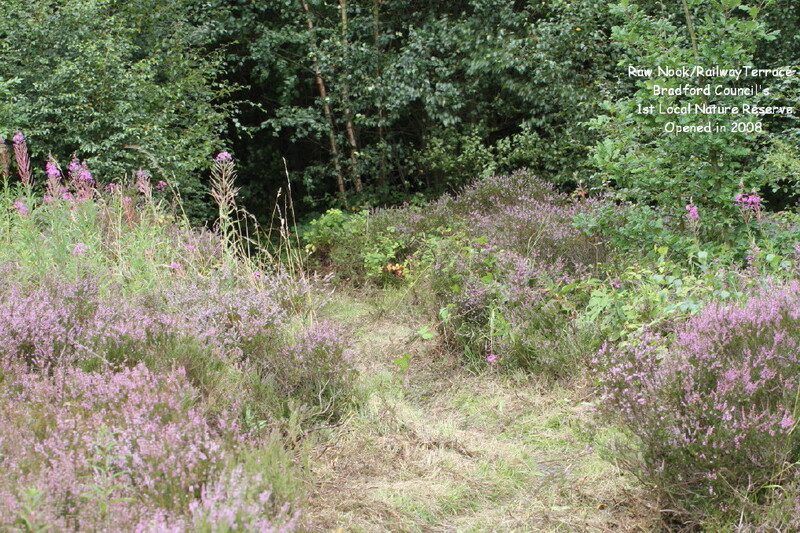 I let the moth go and headed to the large heather patch near the bridge by Caldene fields. I also searched there and thought I saw another of the same moths. At home I was unsure what species the moth was but my research revealed the moth to be Aristotelia ericinella a heathland species whose lava feeds on heather. County records total of 37 records from 17 sites. First recorded in 1883. Surly… I thought I must have miss identified the moth. So I contacted Charles Fletcher from Y Moths for a second opinion. Ooh that’s nice Martyn. Not known from your area, in fact probably no records within about 25 miles, but not uncommon on lowland heaths. The only place I’ve seen it is at Strensall where it is pretty common. Also not uncommon at Skipwith and Hatfield Moors. I wonder what else you have lurking there! A brilliant record for our area and group. This goes to show what a valuable asset the lowland heath habitat is at the site…and what excellent hard work we as a group are doing to preserve it.